Below you will find list of Top CBSE Schools in Gangtok 2019. Kendriya Vidyalaya Gangtok, one of its kind was established in the year 1976 in Deorali. Gurukul Academy, Gangtok is a co-educational English medium school and is affiliated to CBSE. Greendale School, Gangtok was established in the year 1994 with a vision to develop each student's unique abilities to achieve success and contribute positively to society. Address : Tadong, Gangtok, Sikkim 737101, India. Baha‘i School was initiated in the year 1975 and is managed by the National Spiritual Assembly of the Baha’is of India. Neil Tara Academywas promoted in the year 2012 and is an English medium co-educational school affiliated with the Central Board of Secondary Education (CBSE). T N H S School is a co-educational, English medium senior secondary school affiliated with the Delhi based Central Board of Secondary Education (CBSE). 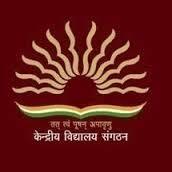 Modern Govt Secondary School was founded in the year 1956 is a co-educational senior secondary day school affiliated to Central Board of Secondary Education (CBSE), New Delhi. 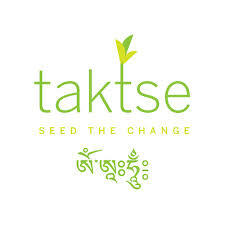 Taktse International School was initiated in the year 2004 with an aim to create a model school and community capable of producing the compassionate and ethical leaders that developing societies so desperately need. Deorali Girls Senior Secondary School was initiated in the year 1975 is a senior secondary English medium girl’s school and is affiliated to Central Board of Secondary Education (CBSE), New Delhi. Started in the year 1956, West Point Sr Sec School, Gangtok is a co-educational senior secondary English medium day institution affiliated to the Central Board of Secondary Education (CBSE), New Delhi.